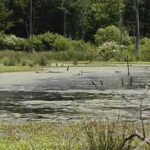 A 116-acre parcel containing high-quality wetlands and three rare species has been permanently preserved, thanks to a partnership between the city of Streetsboro, Western Reserve Land Conservancy, the Ohio Environmental Protection Agency and the Northeast Ohio Regional Sewer District. The action means the property, located on state Route 303, can never be developed. 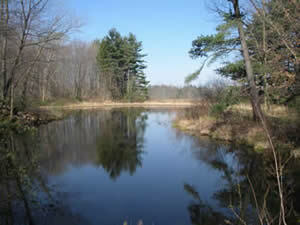 The city owns the parcel, which was formerly owned by the Verna Beck Trust, and will manage it as a nature preserve. 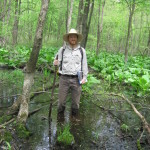 A state environmental covenant and a conservation easement held by the Land Conservancy permanently ban development of the property, which contains high-quality wetlands and three rare species: Water Avens, a Tiger Beetle and the largest population of the endangered high-bush cranberry found anywhere in Ohio, according to researchers from the Cleveland Museum of Natural History. 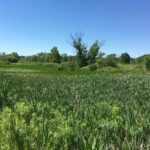 The Land Conservancy, in partnership with the city, helped secure state grants totaling $995,000 for the project through Ohio EPA’s Water Resource Restoration Sponsorship Program. NEORSD made the funding possible by agreeing to be the grant sponsor. 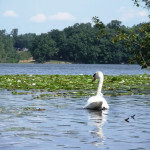 The project adds to an existing 243-acre block of protected land that includes Wilcox Park, the Gott Fenn State Nature Preserve and Expansion project and a permanently preserved 123-acre property east of and adjacent to the newly protected parcel. Chris Szell, associate director of conservation projects and stewardship for the Land Conservancy, said the property has extraordinary natural resource features, including open water, forests and fen wetland habitats, plus a significant tributary to Tinker’s Creek. Szell said Streetsboro “has leaders who understand the significance of protecting water resources and open space.” He added that KeyBank was “a valuable funding partner” whose relationship with the Land Conservancy provided the city the ability to secure the land in July, before the grant funds were available.